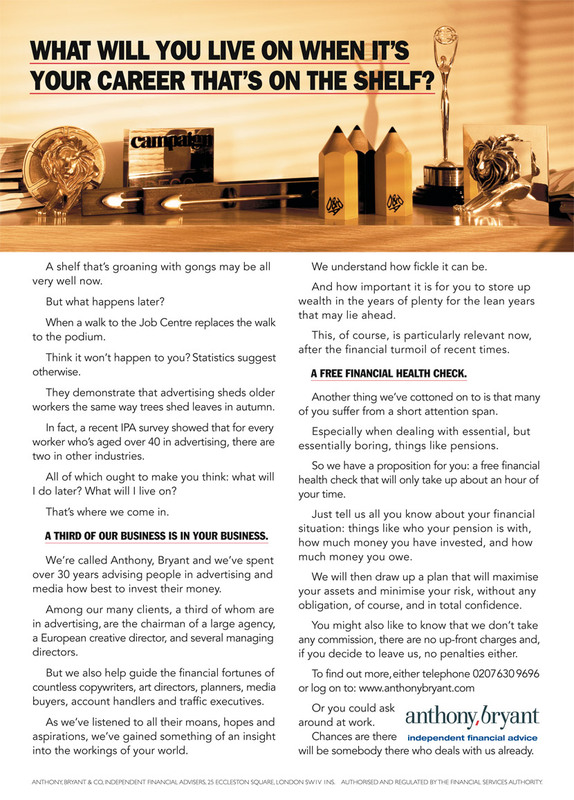 Mike Everett wrote this ad for his financial adviser. Mike based it on his own experience of the advertising business, where he watched as talented colleagues were fired for no other reason than because they were judged to be too old or too expensive. The ad ran as a full page in the ad industry rag, Campaign. Art directed by John Foster, photographed by Steve Cavalier.